Newly renovated in 2016, Conrad Bora Bora Nui stands alone at the tip of Bora Bora, with stunning Mount Otemanu as the perfect backdrop, all the guest villas are facing endless pacific ocean. This property is located approximately 20 minutes boat ride from the international airport, and guests can enjoy a scenic ride to the island. 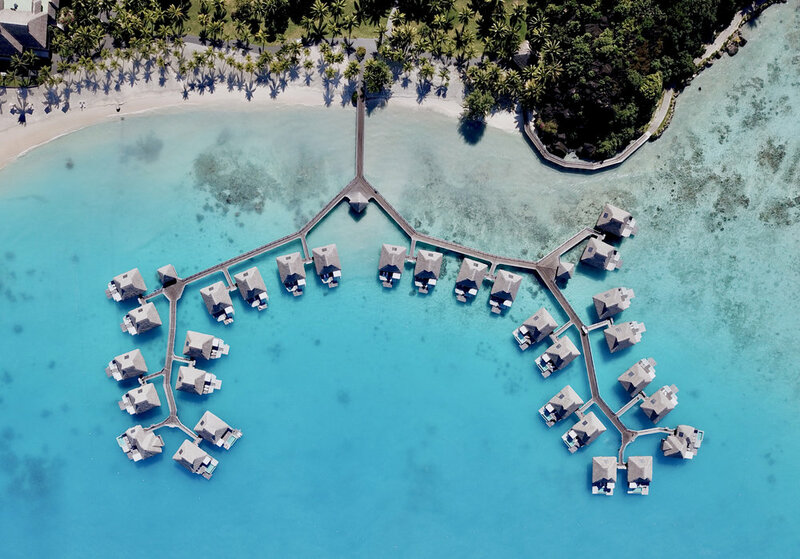 All the accommodation has been inspired by a traditional Polynesian style and there is a range of different accommodation types – from the family friendly Lagoon View Suites, to the Overwater Villas, and up to the Presidential Villas. The hotel has 2 Beach Side Villas located directly on the beach and with a private pool, 66 Overwater or Deluxe Overwater Villas – with either lagoon or island views, a veranda and direct access to the lagoon, 16 Overwater Pool Villas – each with their own deck and private infinity plunge pool and a boat net lounge over the water, 10 Garden Villas set in the vibrant gardens with plenty of shade, 7 Horizon Villas which are dispersed on the hillside and offer unforgettable views and 10 Lagoon View Suites found just off the beach in the main building. Room 107 comes highly recommended as it not only has the best view in the resort but also gives you total privacy. The Conrad Bora Bora Nui offers everything that you might need for a comfortable and relaxing stay in Bora Bora including all the home comforts, lounges with stunning views, and a spa with indoor and outdoor areas. There are also plenty for children to do, water activities and exclusive access to the privately-owned Motu Tapu. One of the things that I loved here was that there was lots of delicious fresh fruit. I was also very impressed by the six restaurants and lounges which are available at the Conrad Bora Bora Nui. There is something for any occasion and they also offer dining experiences like the Chef`s market on the sand where you can grill your own fresh fish, a Polynesian dinner and show – a chance to see, hear, taste and smell French Polynesian culture, and cooking around a Tahitian oven in the sand – all unforgettable experiences! Iriatai French Restaurant, with its fine wine and innovative twist of traditional French cuisine, has amazing views of the lagoon from the banquet and the veranda. Banyan Chinese Restaurant, is a traditional Chinese restaurant set amongst the Banyan tree. You can also book their private room for up to 10 people. Tamure Beach Grill, has an open air kitchen and al fresco dining, serving fresh Mediterranean and Polynesian dishes during the day, with beautiful views of the lagoon and swimming pool. Upa Upa Lounge Bar, has a great outdoor terrace, but the real feature is its glass floor where you can see the ocean below. Here you can relax with a cocktail or enjoy a light meal – such is sushi, nigiri or rolls. Iriatai Wine Bar, specialises in wine, but you can get a casual meal whilst you are enjoying some of the best wine that Bora Bora has to offer. The glass encased wine cellar is a particularly great feature. 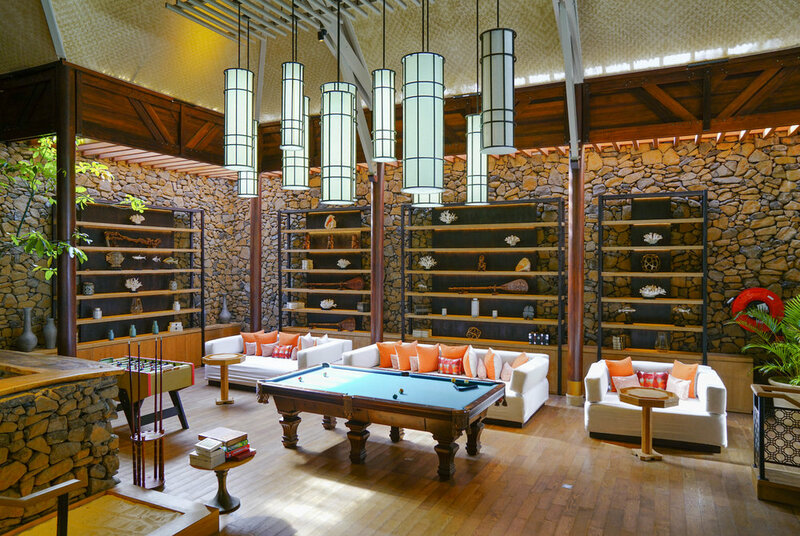 Tarava Pool Bar, where you can get drinks and light snacks is placed in the World`s top 15 pool bars. 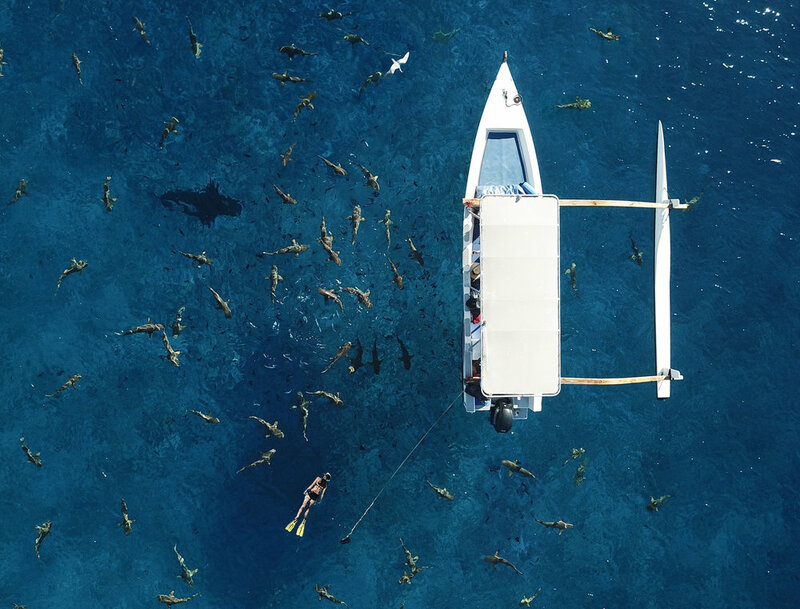 There are tons of activities that you can join, including sea walking & scooter, snorkeling and diving, and my personal favorite, the Sharks and Rays experience. This is definitely highly recommended for those of you who are planning to visit Bora Bora, aside from being up close with the Sting Rays and the Sharks, I really enjoyed having lunch on an uninhabited island. The plates we used were made out of tropical leaves, and you can choose to dine with your feet in the water (with a bunch of fishes, even baby sharks swimming around your legs). In addition to these water activities, there are also excursion that takes you back to the main island for an island exploration and for you to learn more about the local culture.